Goojee.com is a website full of beautiful photographs of Drinks and Food. Above is a sample of a drink photo that automatically follow the size of your computer’s screen making it really appetizing and truly up close. The website doesn’t have a lot of fuzz. It’s clean and simple. Move the arrow from left or right. Search a certain food or drink that you want. Crave, Dislike, or Have the ones you see. This is definitely one of the nicest website that I want to visit. Actually not of anything else but for the photo & the title of the drink/food I am satisfied. Here are 11 wonderful things I’ve learn from different writers and I particularly challenge myself of the last one. Be authentic, honest and don’t be afraid to speak your mind. Read great stuff to be inspired and learn to be great yourself. Short and sweet. Use period rather than comma and semi-colon. Go straight to the point. Stop. Edit. Delete. 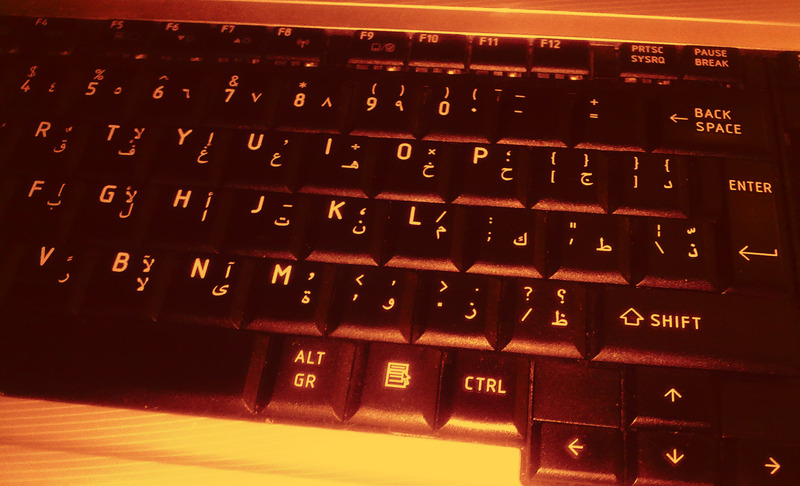 Write again. Let an article sleep and then go back to re-read it. Do something else. Try photography, drawing, dancing, and share it. Build a connection of a carrot and writing. Be well to write better. Be creative on the title. Share what makes you cry. If you’re not nervous about publishing what you’ve written, it’s not daring enough. Caller: Where are you from? Yor: If you’re from Etisalat you should have my details. Caller: (Ignoring my snotty tone…) What is your name madam? I guess he didn’t like my tone and my answers. I reported the number to Etisalat and I am not sure what will they do with the information. I didn’t believe him because if he is really from Etisalat it wouldn’t be a regular number calling me but an automatic company name that says Etisalat on my phone screen especially that I am an Etisalat subscriber. Plus a family friend of ours also received a similar call and she got until the perpetrator asked for money worth 1,500.00 dirhams to get the prize (not a good sweepstakes at all). It would have been nice if I did win a half million dirhams huh! 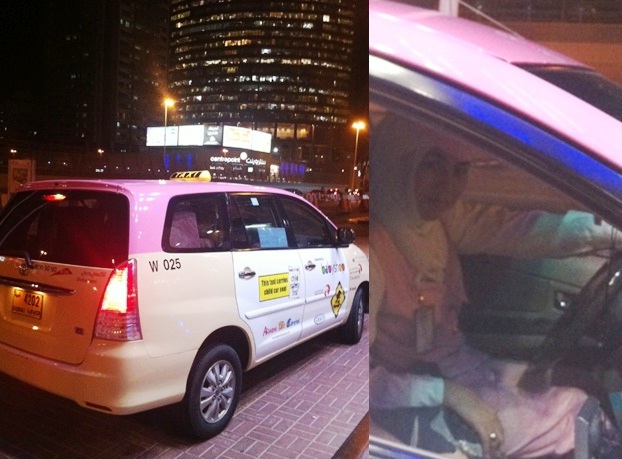 Dubai has the so called “Pink Taxi” that is driven by a female who wears cute pink uniform almost similar to a flight stewardess’ and they cater for passengers like ladies and families. First: K for ‘Thousand’ as used as Title of this blog. ’10K’ is actually ‘Ten Thousand’. Second: K for ‘Kilo’ as some people preferred for weighing heavy things like food or human; although I love lbs for noting my personal weight even if it reached more than a hundred. Fourth: K for Contract that is used by lawyers. I use to work on making proposals and contracts and the lawyer who I consult used K to refer about Contract. Receiving Copy is a photocopy of an original document and is usually requested to be signed by the recipient of the original document. 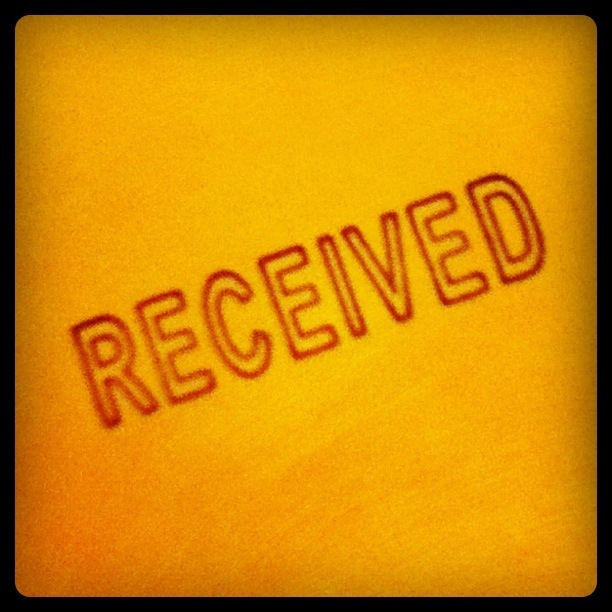 A testament that the recipient is confident that the paper will be treated appropriately. A good track of who has the original paper. It can pin point the person responsible to either file the paper or move it to the next process necessary. Signature is usually accompanied by Date Stamp so it’s a good reference for a document’s age too. Dubai is a very interesting city because it can make different nationalities work together. I have been here for more than 3 years but I still can’t speak Arabic. I’d like to share a funny but true story about an actual incident. An Egyptian man (Arabic speaker) and a Filipina were about to enter into the same door. Being a gentleman, he opened the door and said, “First Lady” instead of saying “Ladies First”. Having the “First Lady” in mind and considering the nationality of the woman, the funny part could stem on the fact that the current President of the Philippines is a bachelor and I didn’t know she was the unnamed remarkable wife. If I am mad about something I better not do anything in a hurry because I would end up with an accident or just mess up. Being angry for a long time is hazardous to health and if I try to work like crazy I might just end up doing more. Here’s an example, if I am angry and I thought of chopping a carrot, I better make sure I don’t chop my finger and still don’t feel any pain until I realized I lost a healthy pinky, that of course is one worst that could happen. I am still using a non-digital organizer. I still like to write, cross out, check, and doodle. But I am really disappointed for so many organizers produced that don’t give a red carpet treatment for Saturdays and Sundays. Star treatment meaning they should have equal space as Mondays to Fridays.